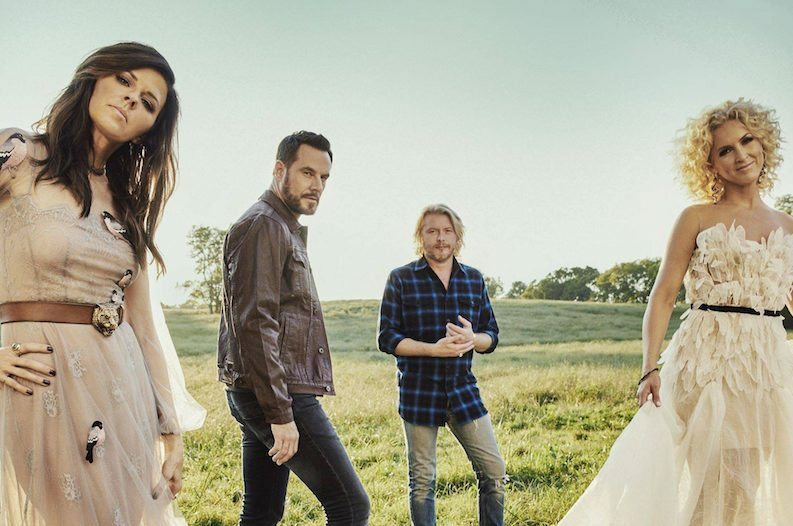 What’s not to love about Little Big Town? Nothing! Can they ever give a less than flawless performance? Doubtful! I have been practically obsessed with this group for about ten years now and they just keep getting better and better, stronger and stronger and more and more impressive. We have been treated with Little Big Town in the UK a few times now but this tour was something extra special, the venues alone have made it more meaningful and the fact that they were playing at Colston Hall in Bristol was even better. With artists such as Little Big Town, this was a rare, intimate opportunity as despite Colston Hall being fairly large, it is still an intimate setting in comparison to the venues they usually play overseas. Wherever you sit in Colston Hall gives a great view and this made the atmosphere even more electric. The build up to Little Big Town coming on stage is always an exciting one, the intro from the band always has the crowd up and cheering and Little Big Town know exactly how to make an entrance. Kicking off the set with Night On Our Side from new album The Breaker – the crowd were singing from the start and already I felt quite emotional, it is something about their voices collectively that just gets to me and I become an appalling mess haha. Happy People was next which is the first song off The Breaker – this upbeat, positive song certainly brought a positive vibe to the room when they sung it and the vocal harmonies were just insane. It is so incredibly hard to choose a favourite vocalist amongst Little Big Town so I won’t. Their voice’s blend in such a beautiful way it is as if they were born to sing together. I love the vocal details in this song, I can’t describe it really it just really hits me. Pontoon always gets the crowd going and boy were they singing along. Pontoon always brings such a wonderful atmosphere and I found myself singing along to it happily with my neighbours. The vocal harmony group gave us a more than generous set list with 22 songs spread over a fair few of their albums. I am always delighted when they perform Little White Church as this was the first song that I heard from them and is the song that made me fall in love with their music. Little White Church is something else live, it is outstanding and definitely showcases just what a phenomenal band they really are. Taylor Swift penned Better Man was exceptional live – Karen Fairchild has a voice you simply cannot compare to anyone, she sings with no imperfections and for me, this song live it gave it a new life as was remarkable. One of my favourite moments of an LBT show is always Kimberley singing Sober which was one of if not the best tracks from the album Tornado. Kimberley’s sweet, southern vocals always captivate her audience and it makes me wish she sang more on their material. That being said they did sing Save Your Sin and Beat Up Bible to which she is lead vocalist on both. We were treated with a few covers over the course of the evening – one being a tribute to the late Don Williams. The group sang his track I Believe In You and rather beautifully I might add. Other covers included When Doves Cry by Prince which is a song I love and they do it brilliant justice, of course they do. Fallin’ by Alicia Keys was also in the mix along with Oasis’ Wonderwall. I am not usually a fan over covers as I prefer an artist to squeeze in more of their own material but with Little Big Town I can make an exception. Still…I am yet to hear Shut Up Train and Evangeline live. Lost In California was another highlight. This is one of my favourite tracks off the new record The Breaker. I love its atmospheric, chilled out melody and vibe and it certainly gave me the same reaction in a live setting but this time actual goosebumps. I do wish they sang Free too though, I adore that song. Of course, when you have such a large and much desired back catalogue as Little Big Town do, there will be some losses on the set list as they put out more material but Tornado made it and created a storm as usual and again, as usual, it was another ‘WOW’ moment. One thing I did miss and would have loved to have seen was We Went To The Beach – I love Philip Sweet’s voice on this song and was disappointed they didn’t perform it. This was all forgiven though by Jimi’s epic and faultless performance of When Someone Stops Loving You which made me cry, quite a bit. His voice on ballads is just stunning and enchanting. Little Big Town seemingly finished their set with the popular Girl Crush which was quite a moment indeed when you could hear the voices of every single audience member, it was a stunning moment and one that reminded me how music truly unites us all. Returning on stage for Turn The Lights On which was their opener for the Pain Killer tour and has quite the lead up so is always the perfect choice for an entrance, the band then concluded the evening with their energetic, infectious and genius track Boondocks, what LBT fan doesn’t love that track? What a truly magnificent and mind blowing performance. 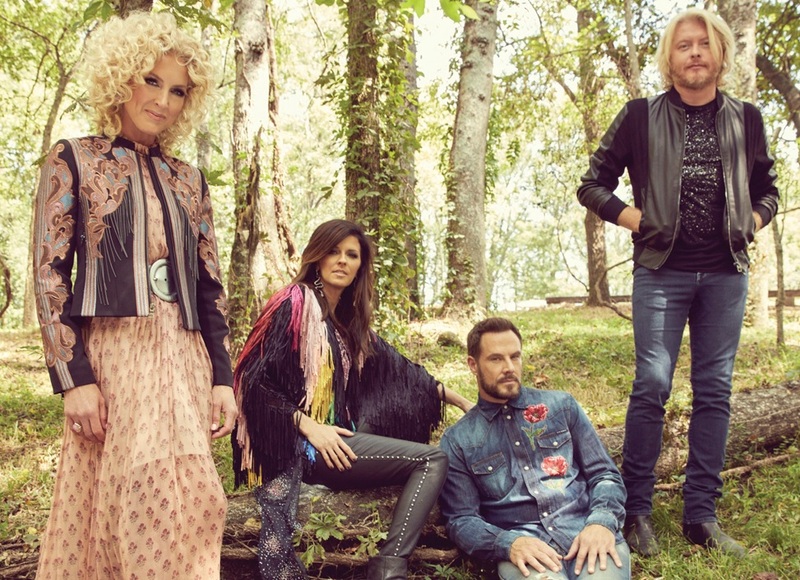 I will never tire of seeing Little Big Town, they are the quintessential vocal group and I can’t wait for their return.